I picked up this beauty (after an epic fail I will share with y’all later in this blog) at Bed Bath & Beyond in Johnson City, Tennessee. The colors of the curtain are slightly muted and blend well with the lime sorbet colored walls, and the pattern adds a vintage-feel. 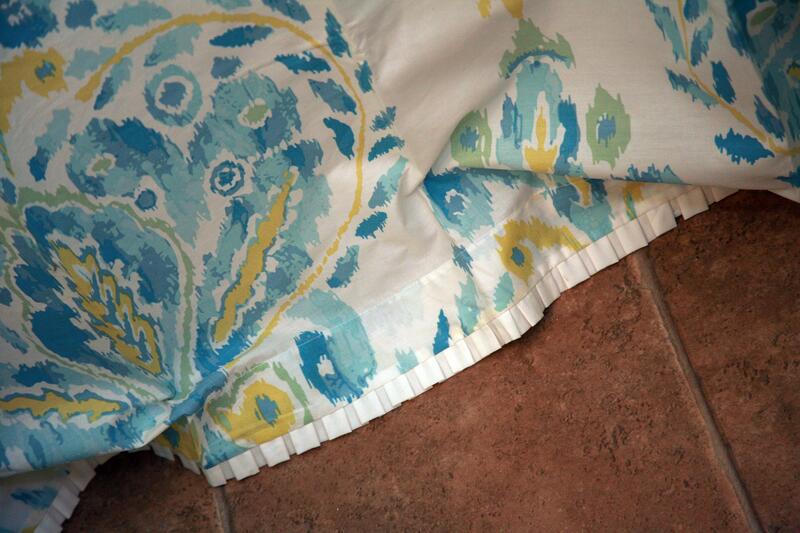 Click here to get the VIP’s same shower curtain by Dena Home at Bed Bath & Beyond. 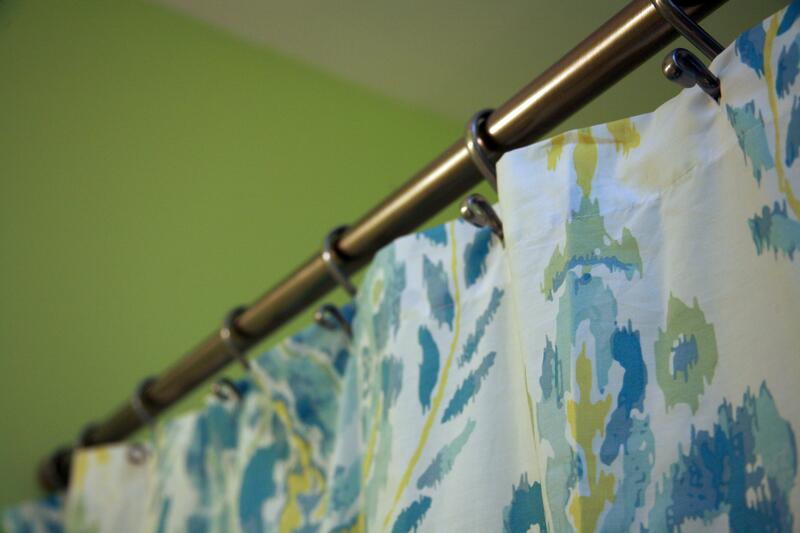 VIP Tip: When working with a small bathroom space, look for a light-hued shower curtain with a large, open pattern. The light color and large pattern will add depth to the space while giving the eye something attractive at which to look. Now…time to discuss the epic fail. 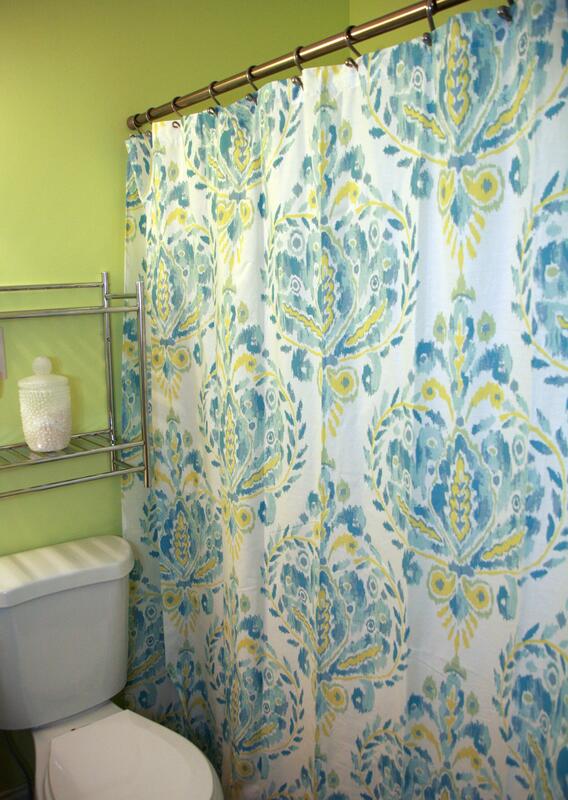 I will preface by saying the shower curtain itself is not ugly–it just did not work in my space. As soon as I got it home, I immediately hung it up and loved it–or so I thought. 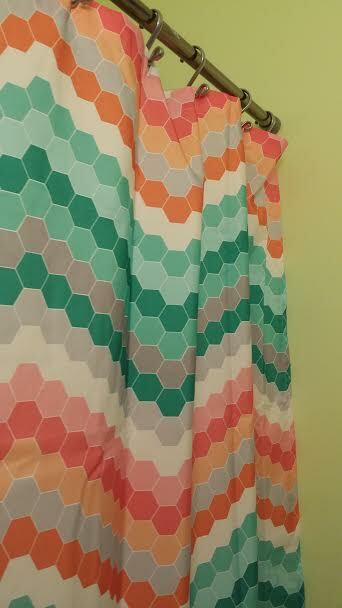 Then morning came, and I walked into my bathroom to only discover that I hated it–lime green walls + a too-short, multicolored, geometric shower curtain =ugh. When my mom came over to check on the progress, she hated it–probably more than I did! But at that moment, we both agreed that I needed something different–something a little less busy. And that I did not need to shop hungry. Be sure to tune in next week for the new VIP Home outdoor series! I cannot wait to share it with y’all! 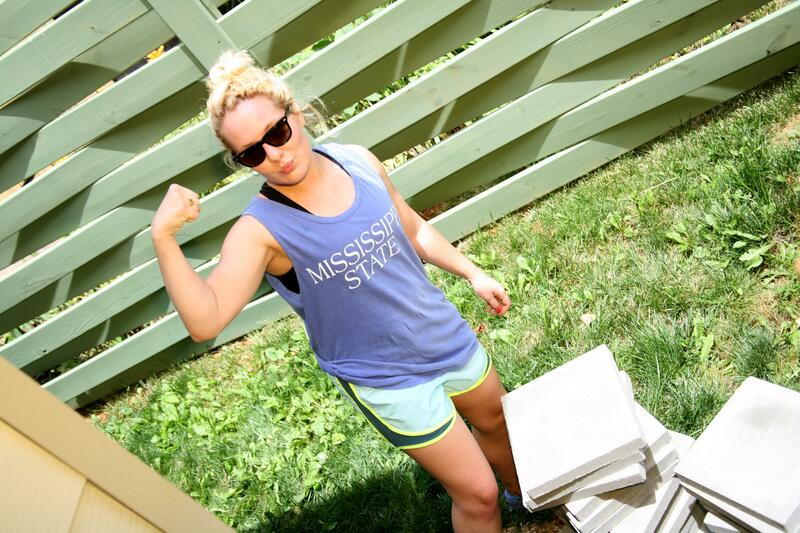 So much fun decorating your own place! Love your color choices!